① Fill a medium-size pot a little over half full with water and bring it to a boil. Once the water is at a full boil add the sake. Fill a mixing bowl with water and ice. Carefully place the slices of pork into the boiling water. Once they change color, indicating they are fully cooked, turn off the heat, and remove the pork to the mixing bowl with ice water. Once the pork is cold, drain off the ice water. ② Shred the lettuce into bite-size pieces. Place the okra on a cutting board, salt them, and then roll them back and forth a few times on the cutting board. Fill a small pot with water and bring it to a boil. Fill a mixing bowl with water and ice. Boil the okra for about 10 seconds and then remove them to the ice water. Drain off the ice water and cut the okra into diagonal slices. Cut the tomato into wedges. Slice the bell pepper into strips. 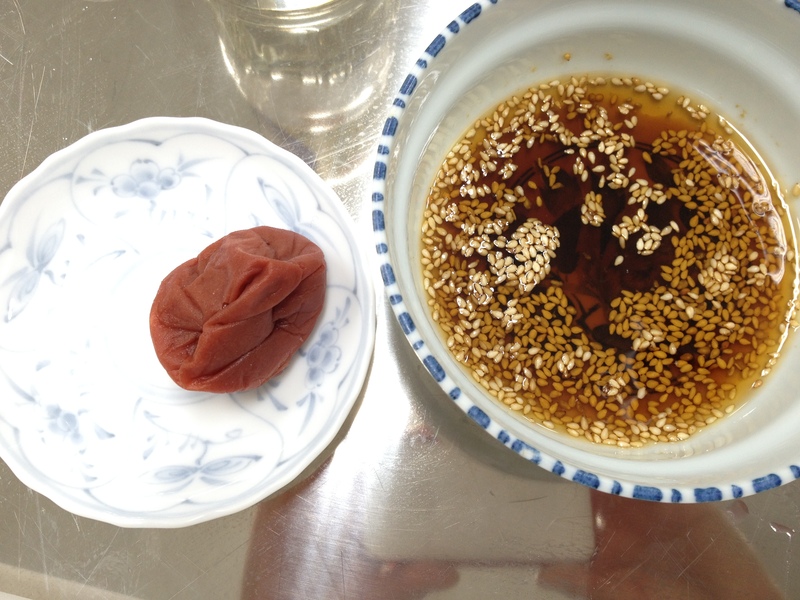 ③ Remove the seed from the umeboshi and then mince the umeboshi, basically turning it into a paste. Transfer the umeboshi to a mixing bowl, add the light soy sauce, sugar, and sesame oil, and mix well. Add the white sesame seeds. 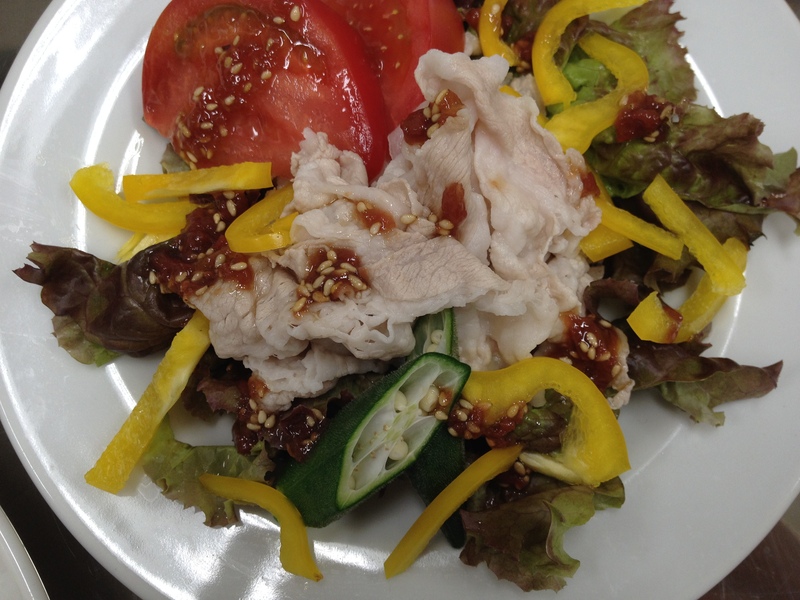 ④ Arrange the pork and vegetables on a serving platter, and drizzle on the umeboshi dressing. Don't Want to Miss Out on Recipes?